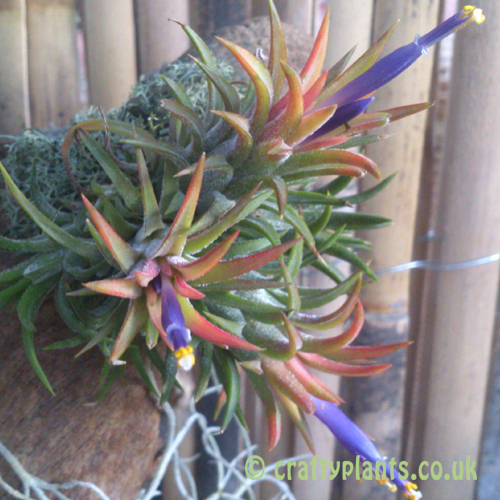 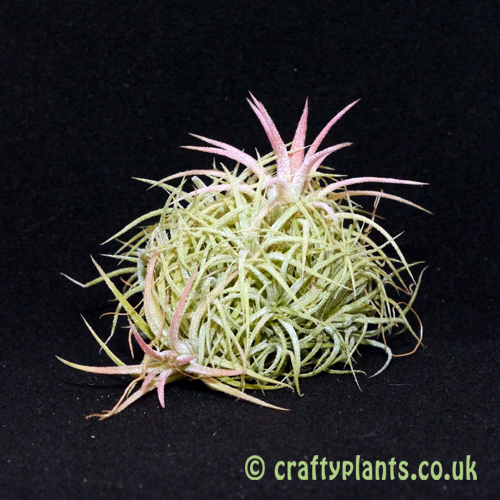 One of the most beautiful forms of the ionantha type airplants, Tillandsia ionantha mexico easily forms nice clumps often producing a dozen or more ‘pups’ after flowering. 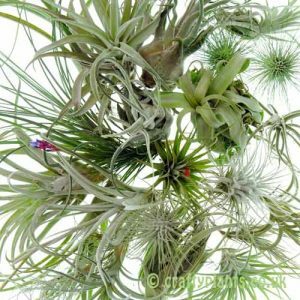 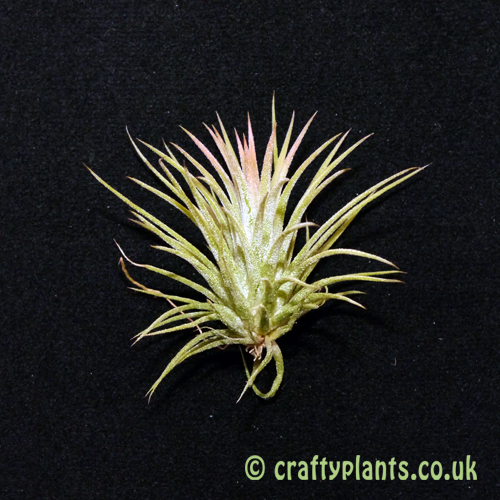 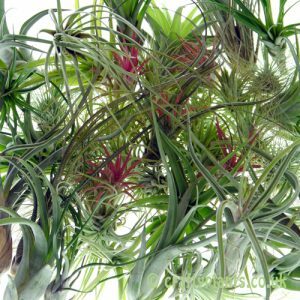 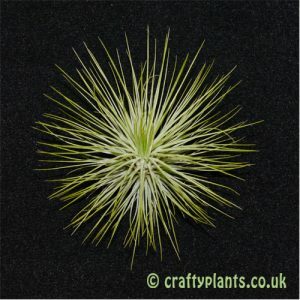 Tillandsia ionantha is one of the most commonly grown air plants and often the one that new growers try first thanks to its easy-growing nature, quick clumping pestiferous growth coupled with its showy display around flowering. 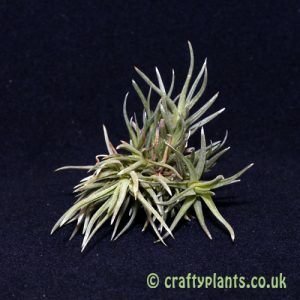 Tillandsia ionantha mexico, although smaller in stature than is typical of the species, can be one of the more rewarding to grow. 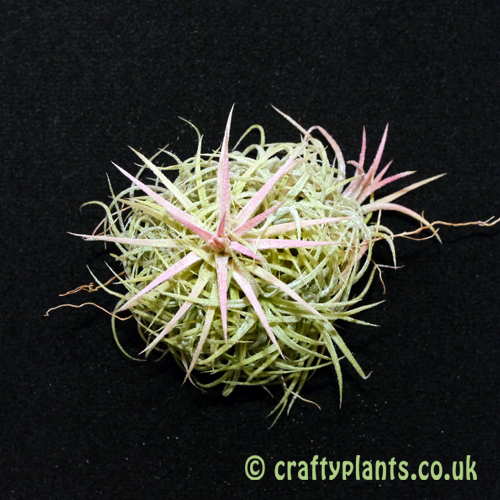 Similarly to the other ionantha air plants, its leaves blush red around flowering when it produces the distinctive purple blooms. 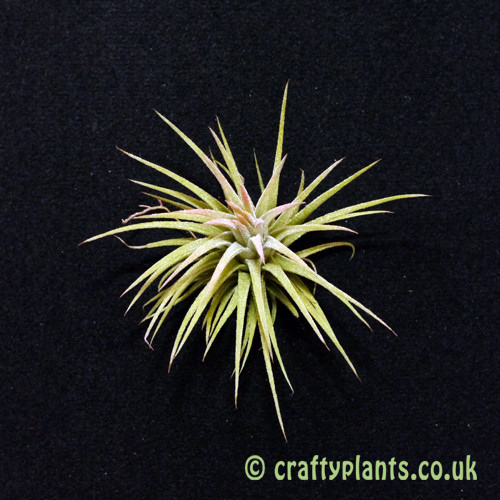 The red colouration can last for several months, particularly when the plant is given adequate light levels.